This course examines one of the most enduring and influential forms of identity and experience in the Americas and Europe, and in particular the ways race and racism have been created, justified, or contested in scientific practice and discourse. 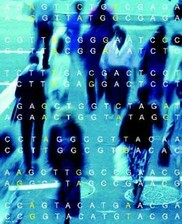 Drawing on classical and contemporary readings from Du Bois to Gould to Gilroy, we ask whether the logic of race might be changing in the world of genomics and informatics, and with that changed logic, how we can respond today to new configurations of race, science, technology, and inequality. Considered are the rise of evolutionary racism; debates about eugenics in the early twentieth century; Nazi notions of "racial hygiene"; nation-building projects and race in Latin America; and the movement in modern biology from race to populations to genes and genomes.